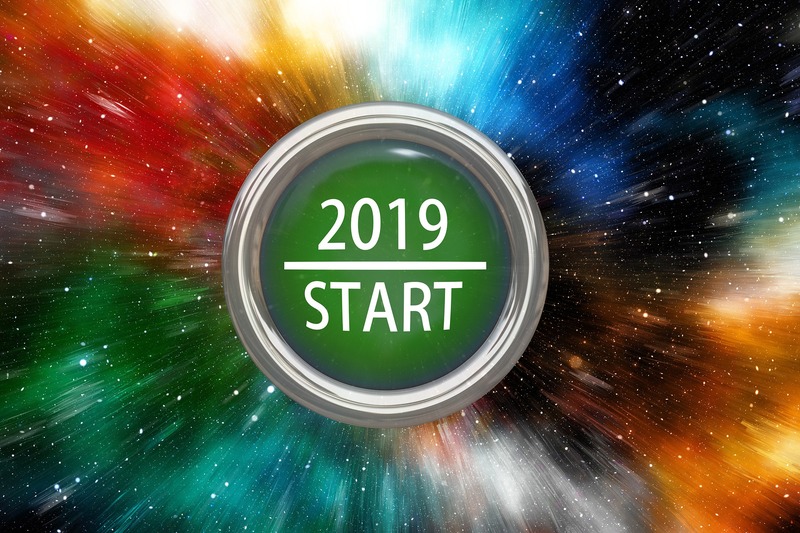 Rethinking Resolutions for the New Year - Planet Aid, Inc.
As we pass through that midnight portal leading us from one year to the next, we step forward with renewed resolve for change. This resolve frequently involves a commitment to new behaviors that can make us healthier, maybe wealthier, and certainly happier. As you think about what you want to commit to accomplishing this year, we offer a few small suggestions that can make a difference for the planet and for people. Eating for the Earth. Many of us vow each year to change our eating habits to get healthier. As it turns out, eating healthy is also good for the planet. Check out these tips for making a resolution that will not only help you get healthier but make the planet better off. When you order take-out, ask the restaurant not to include plastic cutlery in the bag. Save that plastic by using the forks and knives you already have at home. Food waste is a very serious problem and is the single largest component going into US landfills. Americans throw out 30 to 40 percent of the food and drinks they buy. Part of the problem is buying more than we need, but there is also confusion surrounding expiration labels. You can double check what's safe to consume on eatbydate.com, which helps debunk the myths of food expiration dates. Americans throw away 35 billion plastic water bottles each year! Make a promise to yourself to never let a plastic bottle end up in the landfill. Hold on to it until you can find a recycling bin, or reuse it yourself. And best yet try to avoid buying them in the first place. Do your laundry in a "greener" way. Washing your clothes with cold water gets them just as clean with hot water, but it uses less energy (and saves you money). When drying, separate light and heavy fabrics so you can choose the most efficient setting since towels and rugs will take much longer to dry than cotton items. Or, you can save a lot of energy by removing clothes from the dryer while they are still slightly damp, cutting down on the cycle time and reducing the need for ironing. Familiarize yourself with good recycling practices. Putting the wrong item in a recycling bin can contaminate the whole bin or damage equipment at the recycling plant. If you're not sure which bin to throw something in, take a couple minutes to check Waste Managment Inc.'s handy "What Can I Recycle" page. 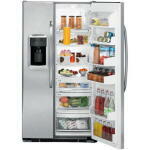 A full freezer requires less energy than an empty one, so keeping it packed with food helps the environment. If you can't fill your freezer with edibles, fill plastic bags or bottles with water and freeze them to take up space. Always unplug your electronics when not in use. Unplugging unused electronics is an easy way to reduce your energy bill. 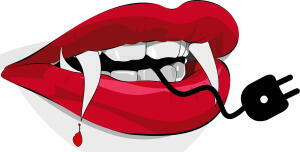 These energy "vampires" draw power even when turned off. Using power strips is another easy way to keep your electronics from draining energy. Recycle your textiles. Americans throw away 85% of their clothes. Keep them out of the landfill by putting old clothes in a yellow bin and help reduce the amount of greenhouse gases created. Make your spare change count. Save up coins and then donate them to a good cause once you've accumulated a sizable amount. Volunteer for a cause at least once this year. There are many worthy initiatives that need your support. Whether its cleaning up a local creek or serving soup to the homeless. You may find it to be so satisfying that it will become a regular part of your life. If you're able to, donate blood. You can also sign up to be a bone marrow donor. Look for ways to make a difference when shopping. Consumer behavior can make a huge difference for the environment. Buying at local or independent stores instead of giant chains is always a good way to help those in your community. If you frequently use Amazon.com, you can sign up for their Amazon Smile program, which donates money to nonprofits like Planet Aid at no extra cost to you. And always ask yourself before you buy, do you really need more stuff? One of the easiest things you can do to help others is to donate your clothes instead of throwing them out. 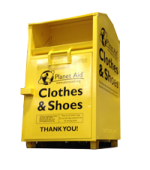 Dropping a bag of textiles and shoes in a yellow bin provides funding for sustainable development projects like teacher training, child aid, and farmers' clubs. "We can do no great things— only small things with great love."